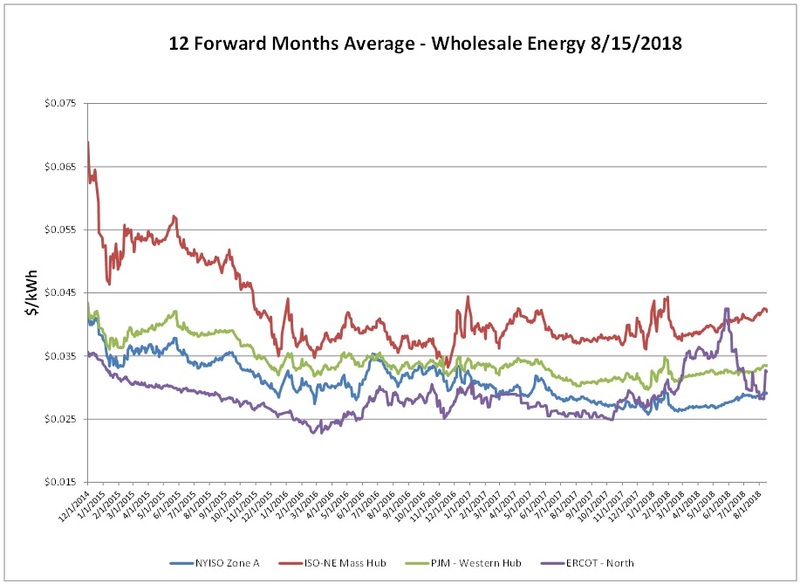 Not much activity for most of the ISO’s over the report week, with the exception of ERCOT, which shot up again. ISO New England (ISO-NE) has increased its capacity reserve margin for the 2018/2019 capability year from 39% in 2017/2018 to 53%. 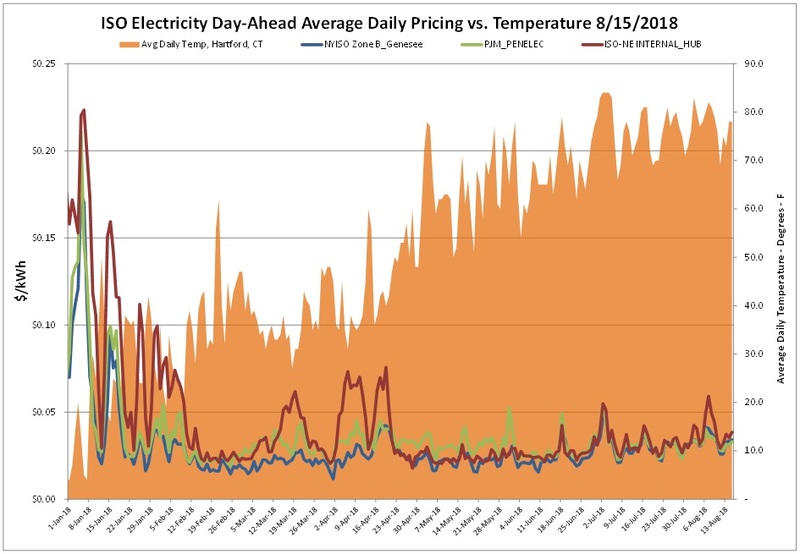 Capacity Reserve Margin is used to adjust the previous year’s peak hour load to a level that ISO-NE has forecasted will be needed to maintain system reliability. This increase was a result of the relatively low peak demand established in New England last summer; 23,508 megawatts on June 13, 2017, hour ending 1700. Several suppliers are interpreting this increase as a change in law/regulation, and as such are planning on passing through the increased costs to their clients. As Power Management receives additional information on how each supplier may choose to handle recouping these additional fees, we will pass this along to customers. Day-ahead market was less volatile, coming off the highs reported the week prior. 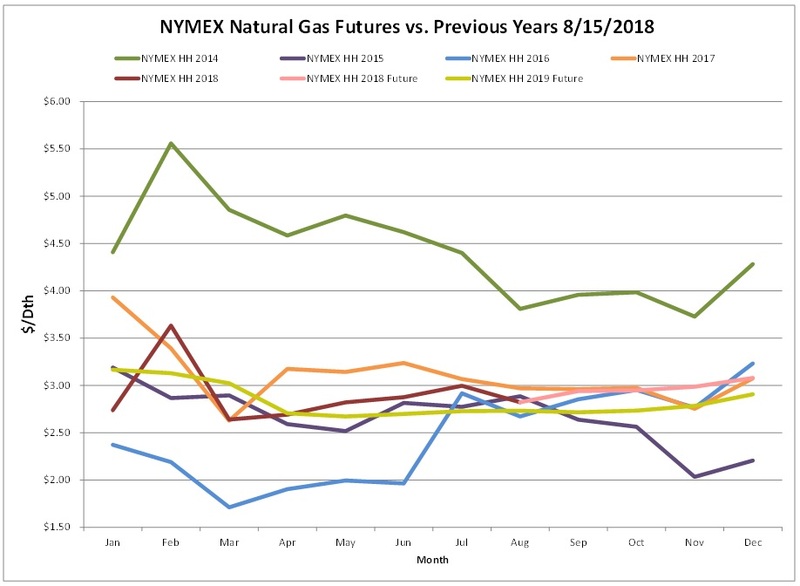 NYMEX prices over the report week were essentially flat with very little change. The EIA report a net increase of 33 Bcf from the previous week. Working gas in storage was 2,387 Bcf as of Friday, August 10, 2018. Reported net injections into storage were close to the median range of analysts’ expectations around 30 Bcf. Net injections were lower than the five-year average for the seventh week in a row. The Baker Hughes exploration gas rig count was unchanged from the previous week for a total of 186 rigs. 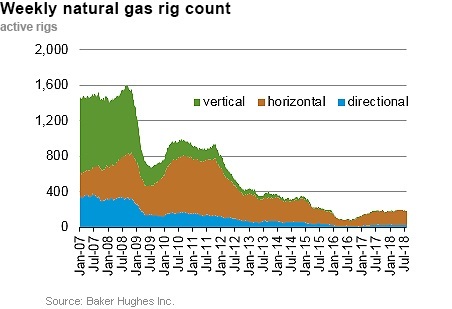 The report total came in 4 rigs more than were in operation last year when there were 182 rigs. 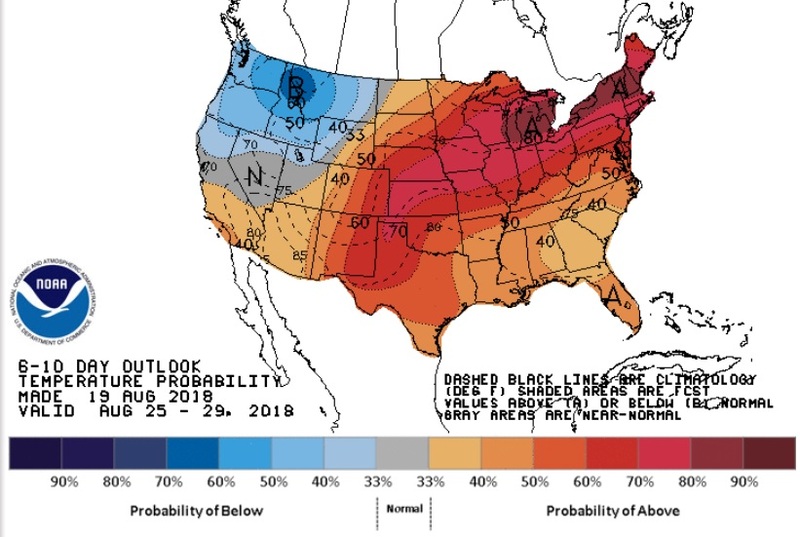 In the NOAA 6-10 day outlook, the Northwest states are expected to see some milder temperatures while the rest of the CONUS will experience above normal temperatures. 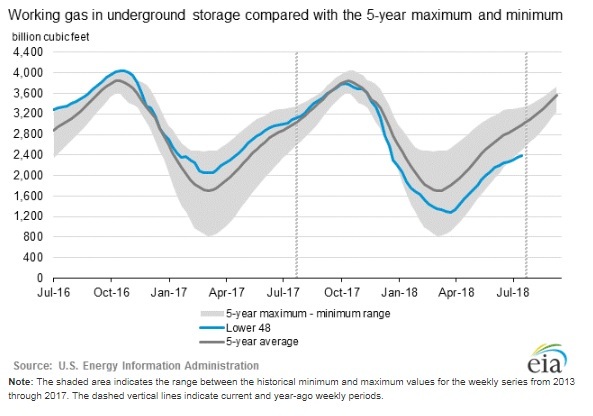 By the end of 2018, EIA expects natural gas pipeline capacity into the South-Central region of the United States to reach almost 19 billion cubic feet per day (Bcf/d).